OneWeb officials Tuesday unveiled plans for a factory just outside the gates of NASA’s Kennedy Space Center in Florida that will churn out up to 15 satellites per week to populate low Earth orbit and beam broadband Internet signals worldwide. Repurposing aircraft assembly line methods to satellite manufacturing, OneWeb and Airbus Defense and Space are partnering to produce 900 refrigerator-sized spacecraft for launches beginning in 2018. The first 10 satellites will be assembled at Airbus’s existing satellite factory in Toulouse, France, with series production of 890 more Airbus-designed platforms to follow at a new $85 million facility to be built at Exploration Park near the Kennedy Space Center in Florida, officials said Tuesday. The Florida factory is due to open by the end of 2017. 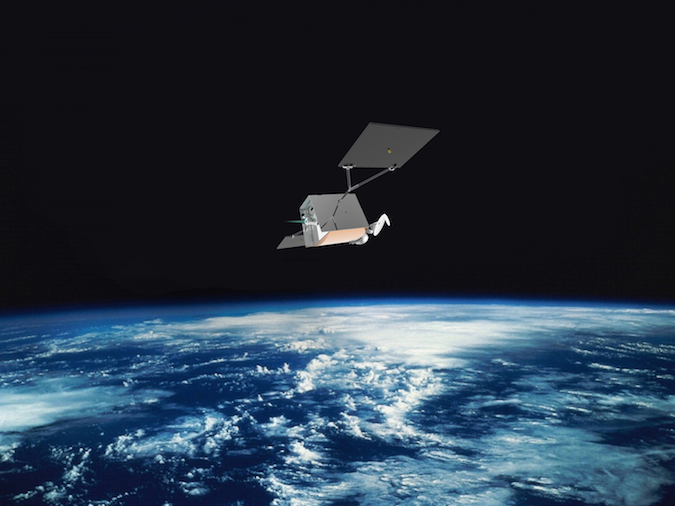 Each OneWeb spacecraft will weigh about 150 kilograms (330 pounds) and use electrical propulsion to enter formation in 20 orbital planes 1,200 kilometers (745 miles) above Earth to broadcast high-speed Internet connectivity to customers across the globe. The network will provide more than 10 terabits per second of new capacity to underserved areas around the world and extend the reach of mobile phone networks and Internet service providers. Founded by Greg Wyler, a satellite and telecom entrepreneur, OneWeb plans to launch 648 satellites in the first phase of the constellation. The rest of the spacecraft will be spares pre-positioned in orbit or on the ground. The bulk of the initial constellation — totaling up to 700 satellites — will be launched by Russian Soyuz rockets under a contract signed last year between OneWeb and Arianespace. OneWeb ordered 21 Soyuz launches from up to four spaceports — the Baikonur Cosmodrome in Kazakhstan, Vostochny and Plesetsk in Russia, and the European-run Guiana Space Center in South America — to send up between 32 and 36 satellites at a time. Arianespace also secured optional orders from OneWeb for five more Soyuz launches and three flights of the next-generation Ariane 6 rocket. Virgin Galactic’s air-launched LauncherOne vehicle, which is still in development and could fly by the end of 2017, was also awarded 39 launches by OneWeb to replenish the company’s satellite fleet as old satellites stop working. LauncherOne will haul up one satellite at a time after dropping from a modified Boeing 747 carrier jet. Virgin Galactic’s satellite launches could be based at multiple locations. Initial test launches could take off from Mojave, California, and operational flights could stage from Spaceport America in New Mexico and the former shuttle landing trip at Kennedy Space Center in Florida. OneWeb selected Florida’s Space Coast for the satellite factory after surveying other contending locales across North America. Space Florida, a state agency charged with luring commercial aerospace business to the Sunshine State, helped arrange $20 million in government incentives to bring the OneWeb factory to the Space Coast. 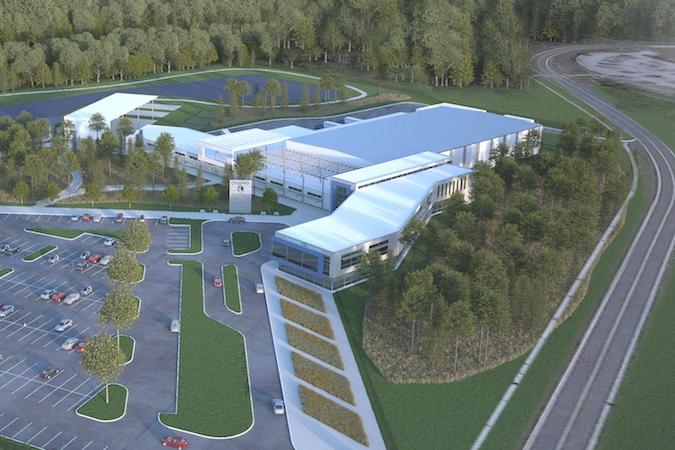 “This is not only an advanced manufacturing facility for the company, but there are plans clearly to support a number of major sub-tier suppliers in this facility, and we look forward to welcoming them as well,” said Frank DiBello, president and CEO of Space Florida. 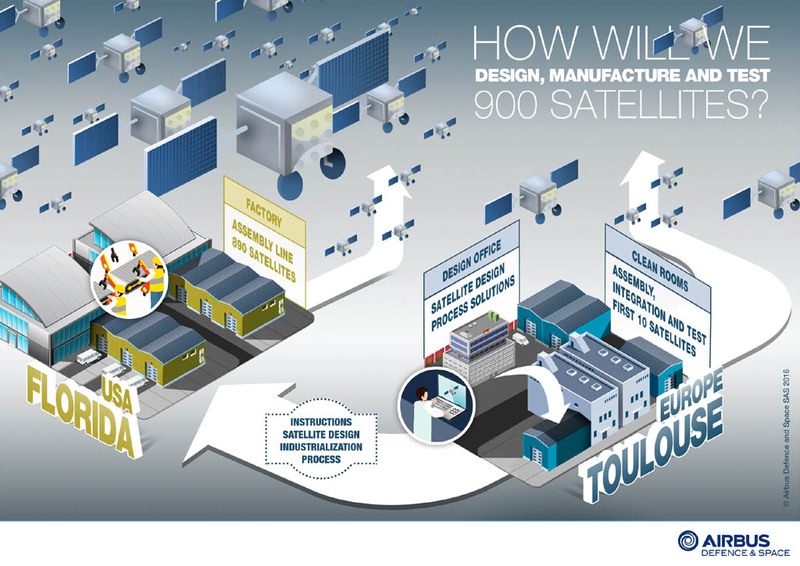 The OneWeb installation will be located next to a rocket manufacturing plant being developed by Blue Origin, and is a few miles from cavernous NASA-owned hangars used for final assembly of the Lockheed Martin-built Orion crew capsule for deep space expeditions, Boeing’s commercial CST-100 Starliner astronaut transport, and Sierra Nevada’s Dream Chaser space plane for cargo runs to the International Space Station. The U.S. Air Force’s reusable X-37B space plane is also refurbished between missions at Kennedy Space Center. The storied Florida spaceport was the departure point for the Apollo missions to the moon and all space shuttle flights, but it was never a center for spacecraft and rocket manufacturing until recent years. OneWeb says it will hire 250 engineers for the 100,000-square-foot (9,000-square-meter) Florida satellite plant. “Satellites today are really manufactured in an artisan way,” said Holz, a satellite industry veteran with previous stints at Orbital Sciences, Ball Aerospace and O3b. “It’s very labor-intensive, very hands-on, and it takes a long time. 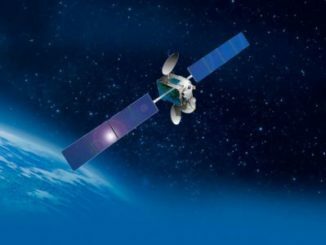 A typical satellite of the complexity built for Intelsat will take four to five months to integrate, and we’re going to build one in an eight-hour shift. That’s pretty amazing. Holz said OneWeb will borrow mass-production techniques from aircraft assembly processes mastered by Airbus. 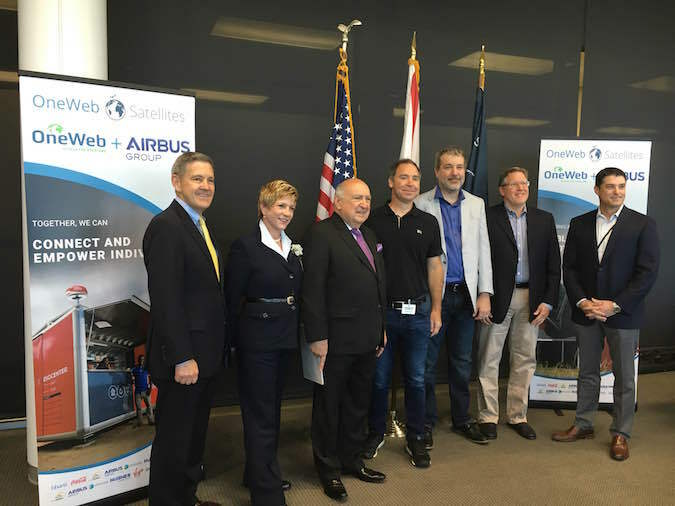 OneWeb and Airbus hope to sell similar small, relatively-inexpensive satellites to other customers after demonstrating the production capabilities in Florida. Based in Britain’s Channel Islands, OneWeb counts Richard Branson’s Virgin Group as one of its chief financial backers. 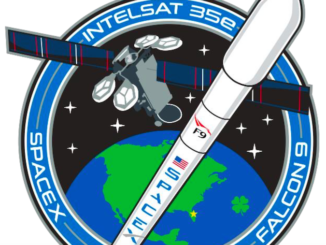 Other investors include Intelsat, one of the world’s largest conventional telecom satellite operators. 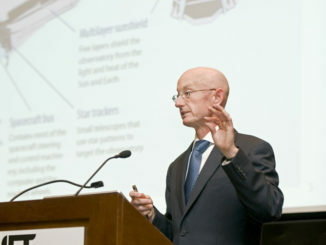 David McGlade, Intelsat’s executive chairman, attended the announcement Tuesday in Florida. He said Intelsat hopes to augment its own satellite coverage with OneWeb to serve clients like the U.S. government in hard-to-reach parts of the world, such as polar regions not visible to conventional geostationary satellites over the equator. Intelsat will operate the satellite fleet in orbit for OneWeb. Airbus, Qualcomm, New Delhi-based Bharti Enterprises, Hughes Network Systems — a subsidiary of EchoStar Corp. — Coca-Cola and Totalplay, a company owned by Mexican billionaire Ricardo Salinas Pliego, are also behind OneWeb. OneWeb is Wyler’s second major venture after he established O3b Networks, which operates a fleet of 12 satellites to supply low-latency broadband Internet services to remote equatorial customers, such as islands in the Pacific Ocean, sub-Saharan Africa and luxury cruise liners. Google, HSBC and satellite operator SES, a rival of Intelsat, were the big investors in O3b.